Putting aside the rhetoric, Boehner and Obama have not spoken since a brief conversation Monday evening and Boehner and Reid aren’t speaking either. The clear takeaway? Entrenchment in established positions is the name of the game at the moment. And, you don’t dig in deeper when you are looking for ways to move on. The reality is that both sides are leaning heavily on principle when it comes to defending their current stance on the shutdown. For Boehner, this is about standing up for the people who don’t like Obamacare and want it gone. For Obama/Reid, it’s about not re-litigating a law that the Supreme Court upheld and, they believe, the 2012 election affirmed. And, you don’t cave on principle in 24 or 48 hours. The only way you do move off of a principled stand in politics for a damn good reason – as in a deal that you can sell to your side as going far enough to make it worth compromising. The two sides are nowhere close to that at the moment. And it’s hard to see them getting to such a “principled” compromise any time all that soon. It appears that no one is talking. So, how does this get done? Someone has to be the bigger person. Someone has to stand up and be willing to put it on the line. Someone has to be willing to compromise. Who will that be? I’m honestly not sure. My guess is that the GOP will be forced to concede on some things, unless they truly don’t care about keeping their jobs. Recent polling shows the GOP taking the brunt of the public disdain for the shutdown, rightfully so. It’s just a matter of time before someone comes to their senses and agrees to sit down and have a fruitful discussion. I hope that time is soon. We Don’t Negotiate with… Presidents? Will the GOP Compromise on Taxes? Bryan is the founder of 2 Rights Make a Left. 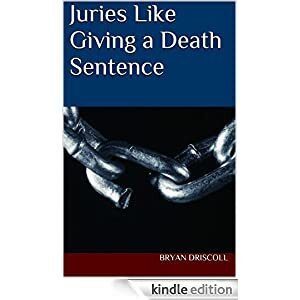 While obtaining his J.D., Bryan researched and wrote extensively on Capital Punishment, an issue that remains close to his heart to this day. He has spent the majority of his adult life involved in politics in some form or another. Bryan spends most of his time reading, writing and discussing all things politics. Bryan loves to travel and, if he had his way, would constantly be jetting off to another destination. The rest of his time is spent following his beloved Bears, Bulls and Cubbies.